​​Liverpool manager Jurgen Klopp has revealed that he told his side not to let the pressure get to them during their game against ​Crystal Palace, admitting that many people expected them to lose on Sunday. The Reds went into the half-time break 1-0 down, but fought back to eventually win the game 4-3, courtesy of a brace from Mohamed Salah and goals for Roberto Firmino and Sadio Mane. 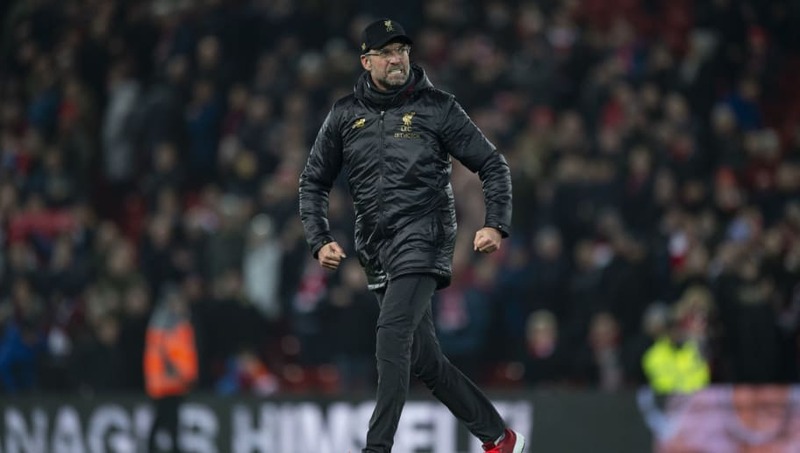 Klopp was pleased with the win over a side that beat title rivals Manchester City, especially as they lost James Milner to a red card, to set up a tense finish late in the game. "Nobody should be surprised about the character of the boys. If something was really here before I came in, it was character. It's not the first time this season we had to do it, but today it was pretty special and I really liked it," Klopp said post the game. "It was not too easy for the crowd to get the first half, we did OK but you're 1-0 down and I'm pretty sure a lot of people thought today was the day we would lose it. We were not like this, I told the boys we had to stay positive and we were not allowed to lose our nerve, there was no reason for it." The win on the night ensured that the Reds maintained a seven point lead at the top of the table, though City could reduce that deficit to four when they face Huddersfield in the league on Sunday.